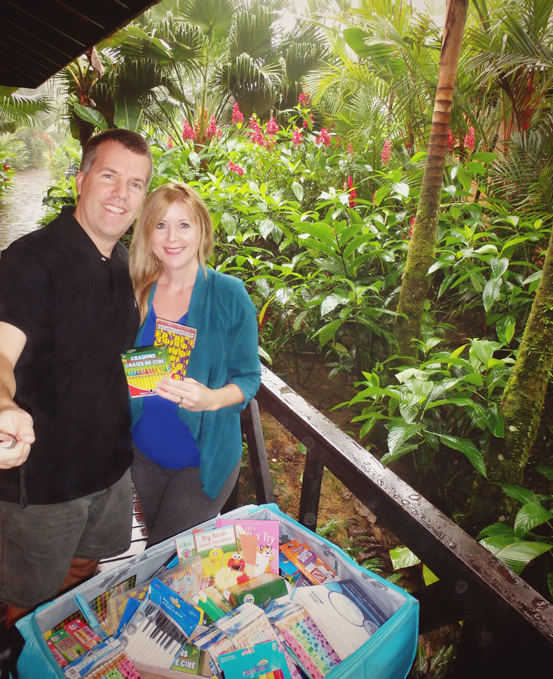 Costa Rica has a lot of schools in need of supplies. We were excited to find a Pack for a Purpose partner Casitas Tenorio in the Tenorio National Park near the resort where we are staying. We squeaked by with our luggage weight limits on this trip because we had so much fun buying the supplies. We try to support Pack for a Purpose schools whenever we travel because it is a great way to help children.